Orlando is home to the world’s greatest theme parks, but it’s also just a day trip away from some of Florida’s best beaches. Here are a few of our favorites. During your Orlando vacation, it’s easy to escape to the coast for a day of soaking in the sun, dining alfresco and enjoying a refreshing dip in cooling waters. In fact, Daytona Beach, New Smyrna Beach and Cocoa Beach are all less than an hour drive from Orlando. 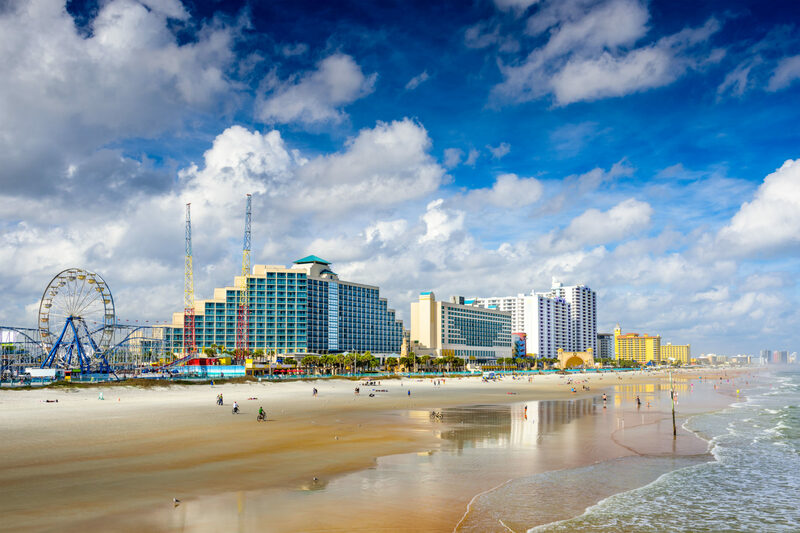 Nicknamed “The World’s Most Famous Beach,” Daytona Beach offers 23 miles of easily accessible shoreline and plentiful attractions. Simply relax on the expansive white sands or enjoy diverse sea activities like paddleboarding and kayaking. You can even watch dolphins play in the Intracoastal Waterway. While you’re at the beach, savor a meal at an oceanfront restaurant with beautiful water views. Stroll along the Daytona Beach Boardwalk and discover thrill rides and arcade games for the entire family. Or attend free concerts and fireworks at the Daytona Beach Bandshell on Friday and Saturday nights during the summer. Beyond the beach, the town itself is home to the famed Daytona 500, and visitors flock to Daytona International Speedway to watch high-octane races. The area is also known for a variety of art and music festivals, as well as the legendary Biketoberfest®. Just a 20-minute drive from Daytona, New Smyrna Beach is the quintessential cozy beach town. You’ll discover 17 miles of white, sandy beaches, including several drivable areas. You’ll also find excellent opportunities for outdoor recreation, including surfing, paddleboarding, fishing and golf. 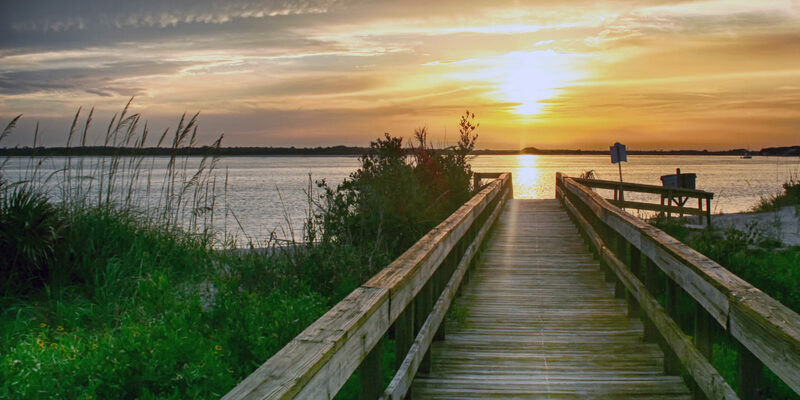 The scenic, 73-acre Smyrna Dunes Park is surrounded on three sides by water. 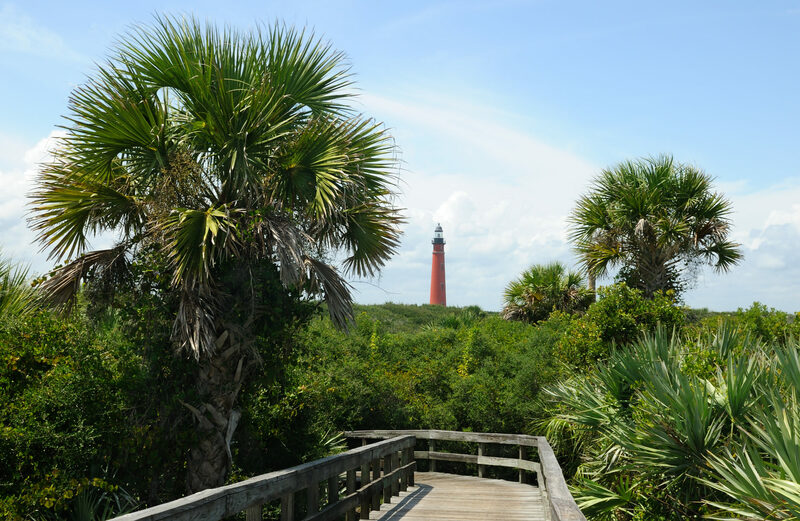 You can wander the two-mile boardwalk to soak in picturesque views of the dunes and Ponce de Leon Inlet Lighthouse & Museum. You may even spot a sea turtle relaxing in the sand. The city of New Smyrna Beach has been named one of “America’s Top Small Cities of the Arts,” and it’s home to frequent art shows, numerous working studios and a strong sense of community. Historic Canal Street and Flagler Avenue are teeming with quaint shops, restaurants and bars. Treat yourself to the delectable lobster bisque at Café Heavenly, and then stop by Little Drug and for dessert at the retro soda fountain. The Cocoa Beach area offers a range of beach experiences, from lively to secluded and everything in between. Visit the Cocoa Beach Pier area for sunbathing, people-watching, dining and more — you can even enjoy a tropical drink at the Rikki Tiki Tavern located at the very end of the 800-foot-long pier. Or opt to relax at more laid-back spots like Lori Wilson Park, which offers soft sands bordered by dunes and nature hammocks. 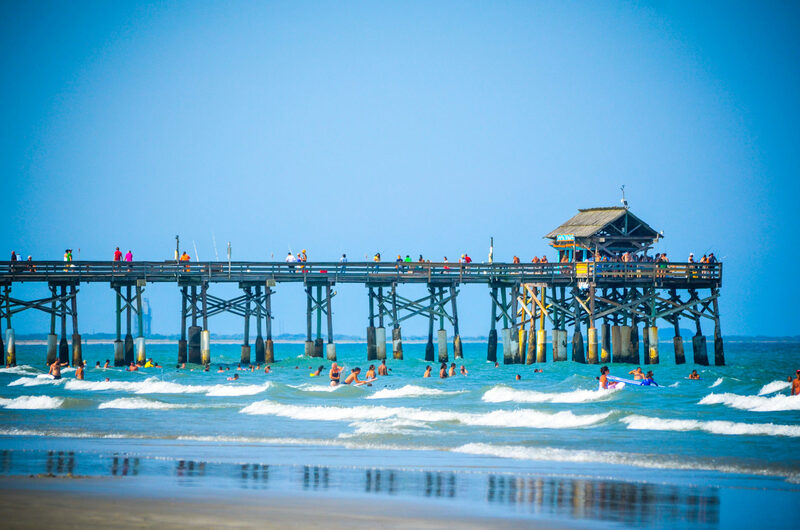 The self-proclaimed “East Coast Surf Capital,” Cocoa Beach is known for surfing and is home to surf legends such as 11-time ASP World Tour Champion Kelly Slater. But you don’t have to be a pro to experience the rich surf culture of this iconic beach town. Whether you’re a kook (beginner) or an experienced surfer, learn from the best at the world-famous Ron Jon Surf School. You’ll be taught everything from marine life awareness to the best and safest techniques to paddle out, pop up and take off. From Cocoa Beach, you can also explore nearby attractions like Kennedy Space Center and Brevard Zoo. As Orlando’s closest beach, you’ll have plenty of time to pack in a full day of exhilarating activities — or simply claim a spot on the sand and relax.